This drug abuse educational film portrays an animated fantasy based upon the characters in "Alice in Wonderland." 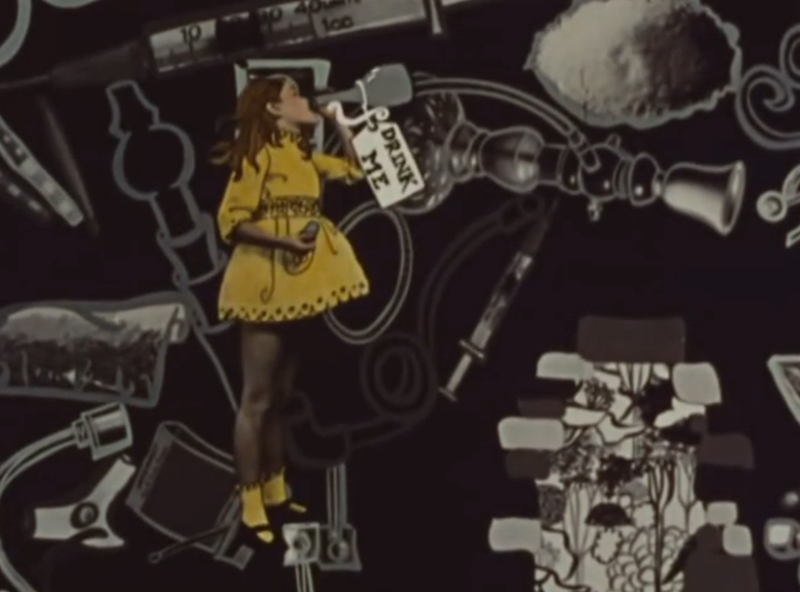 The film shows Alice as she toured a strange land where everyone had chosen to use drugs, forcing Alice to ponder whether drugs were the right choice for her. The "Mad Hatter" character represents Lysergic Acid Diethylamide (LSD), the "Dormouse" represents sleeping pills, and the "King of Hearts" represents heroin. Ultimately, Alice concluded that drug abuse is senseless. Contact: National Archives at College Park - Motion Pictures (RD-DC-M), National Archives at College Park, 8601 Adelphi Road, College Park, MD, 20740-6001. PHONE: 301-837-3540; FAX: 301-837-3620; EMAIL: mopix@nara.gov.